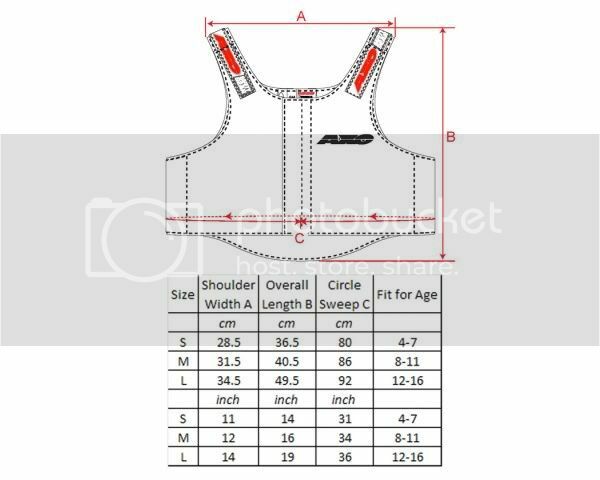 Axo - Moto Vest Jr.
Having difficulty getting your junior rider to wear his or her bulky chest protector during races or practice? Try influencing them to wear the AXO – Moto Vest JR for their next race. This incredibly lightweight and thin AXO – Moto Vest JR is specifically designed to keep them protected from roost and rocks while providing them with maximum comfort. This type of motocross protective gear is designed to conform to the body and offer a personalized fit that has adjusting shoulders and sides that ensures a perfect fit. The AXO – Moto Vest JR is made with a uniquely designed 13 mm (1/2 inch) impact resistant foam insert so the roost and rocks will bounce off and leaving the rider unfazed. Parents love watching their children race around the track, but sometimes find it hard to find them in the pack. This piece of dirt bike protective gear made by AXO features a Velcro attachable name and number plate on the back so the rider can easily personalize his or her new AXO – Moto Vest Jr. Not only will it protect the rider from roost or rocks, the AXO – Moto Vest is also neck brace compatible increasing its comfortability and most importantly protection. AXO understands the importance of keeping people safe, especially the kids, so when designing this motocross protective gear they ensured that all levels of safety could be incorporated into a comfortable and reliable piece of equipment.